Though she surely wasn’t the first to do it, and though her journey has clearly been glorified by Hollywood, in many ways Under the Tuscan Sun author Francis Mayes is the poster child for giving it all up and moving to the European countryside. Who among the legion of cubicle-dwellers among us has not, at some point or another, dreamed of ditching the grind for days spent restoring a charming old farmhouse, a la Diane Lane, with her loveable crew of misfits, while enduring exasperating but ultimately funny trials and tribulations, and eventually but assuredly achieving the inevitable happy ending? For most, sadly, this is nothing more than a daydream. We can, however, share a small piece of Mayes’ real-life dream-come-true in the comfort of our own homes, by joining her Bramasole Olive Oil Convivium, a buyers’ club that supports the olive farm run by Mayes and her husband on the very property described in the book and movie. What the heck is a convivium? According to Mayes’ website, it’s Latin for “a feast, entertainment, a banquet.” In this case, however, it’s a club for anyone willing to pre-order a case or more of Bramasole’s award-winning extra virgin olive oil, usually in the fall or early winter for late winter or early spring delivery. Made from hand-picked Moraiolo, Frantoio, and Leccino olives, Bramasole oil is considered a medium blend, meaning it offers a nice balance between fruit flavor and pungent bitterness. 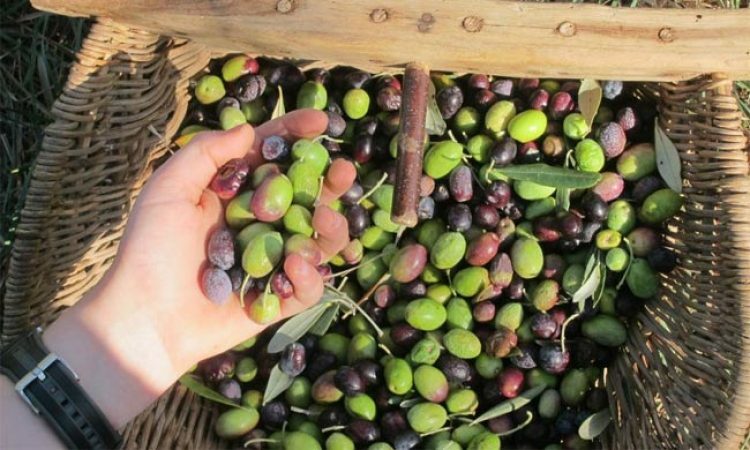 Tuscans like to pick their olives early, often resulting in grassy, peppery oils that sting the back of the throat and can sometimes take those used to dull supermarket dregs by surprise — and though this oil absolutely has a kick to it, the berry fruit flavors round out the palate well. There are also notes of hay, smoke and chalk to add complexity, and a lingering finish that lasts for minutes. The harmony in this oil allows for a wide variety of uses; it’s a great dipping oil, finishing oil, and works well in salad dressings or sauces. Just don’t cook too much with it – it’s too darn tasty for that.